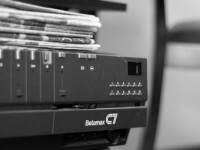 The ability to record television programs is a feature that most consumers take for granted today, but when the Sony Betamax was first introduced in the 1970s, it revolutionized television and sparked high profile lawsuits by the major Hollywood studios who wanted to block its availability. The battle between Universal Studios and Sony ultimately made its way to the U.S. Supreme Court, which ruled that Sony was not liable for contributing to copyright infringement since its product had substantial non-infringing uses. My weekly technology law column (Toronto Star version, homepage version) notes that the battle between established players and distributors of disruptive technologies has since played out many times in courtrooms and legislatures around the world. From the introduction of the portable MP3 player (which the recording industry tried to stop in a 1999 case) to disputes over the availability of virtual private network services, judges and policy makers often return to the U.S. Supreme Court’s recognition that stopping the distribution of new technologies merely because they are capable of infringing copyrights would create an enormous barrier to new products and services that have many different uses.